When the popular retailer Toys R Us closed down last year, many kids as well as adults who grew up visiting the store were left extremely disappointed by the news. However, just a year after its official closure, it has been reported that Toys R Us will be making a comeback as a brand new company – Tru Kids Brands. The holding company, Tru Kids Inc, became the new parent company of Toys R Us alongside Babies R Us and the famous business mascot Geoffrey the giraffe after it acquired its assets. 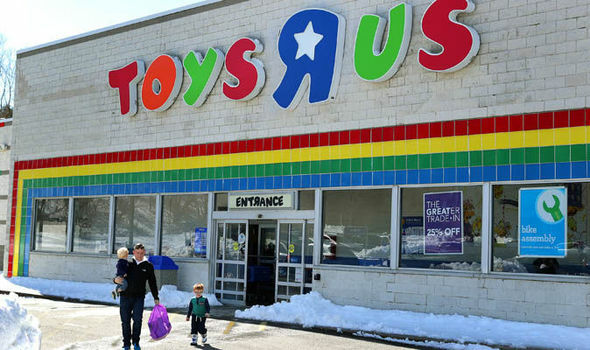 It also took over more than 20 other toy and baby brands, so could this be a new chance for Toys R Us to revive itself? Previously, after another latent revival attempt failed back in October, it could very well be the time for Tru Kids Inc, to bring Toys R Us back into the fold. Tru Kids said in a statement that it acquired the Toys R Us brand because of its “brand power” and “loyalty”. It also added that both the Toys R Us and Babies R Us lines “generated over $3 billion in global retail sales in 2018 through more than 900 stores and eCommerce business”. Richard Barry, who worked for Toys R Us for 33 years and became the global chief merchandising officer, was named as Tru Kids’ chief executive and president. Alongside his new title, Barry will be supported by chief financial officer Matthew Finigan, executive vice president of global licence management and general counsel James Young and senior vice president of global sourcing and brands Jean-Daniel Gatignol. Richard Barry stated that this new formed brand has been seizing the opportunity to continue the strong fondness of the Toys R Us and Babies R Us brands. “As we start the year there is a lot to be excited about,” he said. “We have a healthy and growing global business with great partners that are 100 percent focused on opening more stores and eCommerce channels in their respective markets. Tru Kids said that their first priority would be to “solidify” the American retail strategy for both brands. “While I can’t say today what that exact strategy is, we do know that we will have an omnichannel approach that is tech immersive and experimental with a smaller footprint,” he continued. Tru Kids also said it was working with worldwide partners to expand the Toys R Us and Babies R Us businesses in their respective markets, all while finding opportunities to bring the brands to new territories. These partners are set to open up 70 stores in Asia, India and Europe for 2019 and develop new eCommerce platforms. However, it isn’t known whether the plans for Europe include the UK, and there is little detail on whether the brands will make its comeback there, if ever. However, the US and Asian market looks bright and this will overjoy children and adults alike. Tru Kids will be headquartered in New Jersey, the same place where the original Toys R Us headquarters was located, which just shows you can’t keep a much loved retail brand down in 2019. Following the closure of Toys R Us stores in the UK, more than 3,000 jobs were lost when after 100 stores shut down across the country. As for the US, around 30,000 employees lost their jobs across 885 stores, in a massive retail employment cull, angering many long serving workers. But, the good news is that Toys R Us is due for a massive comeback only one year later. So, will this be the saving grace the Toys R Us and Babies R Us brands need to finally emerge from the ashes? Cross your fingers if you were an avid Toys R Us shopper, because you may just come across it again very soon.